A new factory that hopes to break oil’s stranglehold over America’s transportation sector has just opened its doors in Iowa. The $275 million factory will churn out ethanol – a renewable fuel that can be blended directly with gasoline and used normally in cars and trucks. However, this factory won’t produce traditional ethanol, which is made from corn. Instead, it will use farm waste from left over corn stalks, husks, corncobs, and leaves. Dubbed Project Liberty, the new cellulosic ethanol factory in Iowa promises a “new era” for renewable fuels. It is the second commercial-scale cellulosic ethanol plant to be constructed in the United States, after the Indian River BioEnergy Center in Florida, which produces 8 million gallons of cellulosic ethanol annually from yard and municipal waste. Project Liberty will up the ante, producing an estimated 25 million gallons of ethanol each year. 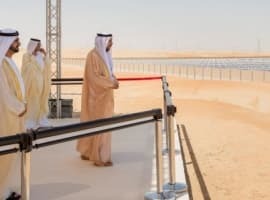 Backed by a $100 million investment from the U.S. Department of Energy, the project was spearheaded by a partnership between the American firm POET, and Dutch biotech company DSM. It will source its feedstock from Iowa farmers within a 40-mile radius of the plant. This is a major step forward for renewable fuels. The much-maligned corn-based ethanol competes with food supplies, contributes to a rise in food prices, uses up farm land, and in the end, the greenhouse gas benefit is trivial, if not nonexistent. The big question is what this plant will mean for the cellulosic ethanol industry going forward. Cellulosic ethanol has struggled for years to economically produce usable fuel, disappointing projections about cost and scalability. The U.S. has a renewable fuels standard in place, which calls for 16 billion gallons of cellulosic ethanol to be blended in to the nation’s fuel supply by 2022, a target that will be all but impossible to meet. Part of the reason is that the technology needed isn’t easy. Breaking down cellulose is tough work, as Purdue University’s Wallace Tyner explained to Fortune: “The technologies didn’t advance as fast as people thought or hoped they would. Cellulosic feedstocks are really recalcitrant. It is really difficult to break out the cellulose and hemicellulose from the lignant,” he said. Corn ethanol can be produced 60 cents to $1.67 per gallon cheaper than its cellulosic counterpart. As a result, the entire renewable fuels mandate is being met by the corn variety. But the industry is gaining momentum. Dupont expects to open a facility in Iowa by the end of the year that would produce 30 million gallons per year. Abengoa Bioenergia plans to open a biomass power plant and ethanol production facility in Kansas this month. Just like the other plants, the Abengoa facility will not only use farm waste to produce 25 million gallons per year of cellulosic ethanol, it will also use similar waste products to generate 22 megawatts of renewable electricity. And the Project Liberty site hopes to be a test case that can be replicated worldwide. If it proves itself to be an attractive source of renewable fuel, the technology can be licensed and copied elsewhere. It is still early days for cellulosic ethanol, but the enormous volumes of corn ethanol in the mix have already riled up the oil industry. 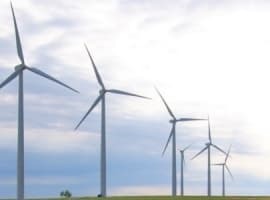 Representatives from energy interests are in a heated battle in Washington over the Renewable Fuels Standard, with each side hoping to persuade Congress and the Environmental Protection Agency. Each year, the EPA sets the blending requirements, which dictates how much ethanol must be blended in to the fuel supply. The oil industry wants weaker requirements for blending in ethanol. The American Petroleum Institute says that using more ethanol could cause damage to millions of cars that are not equipped to handle higher concentrations. It also says there isn’t enough infrastructure and fueling stations. The ethanol industry, obviously, disagrees and wants a firm mandate. They criticize the oil industry for fear mongering, and accuse them of purposefully opting not to invest in the requisite infrastructure. EPA is expected to announce a standard in the coming weeks. Whatever the outcome, cellulosic ethanol will be just a sideshow. But if Project Liberty is successful, that could one day change in a big way. The big question is not "what this plant will mean for the cellulosic ethanol industry going forward." but how much natural gas and electricity will it take to produce the estimated 25 million gallons of ethanol each year. Re: "The much-maligned corn-based ethanol competes with food supplies, contributes to a rise in food prices, uses up farm land, and in the end, the greenhouse gas benefit is trivial, if not nonexistent." Corn-based ethanol is made using field corn (the kind fed to cattle), not the sweet corn humans eat. And 1/3 of every bushel of corn that goes into ethanol production comes back out as distiller's dried grains (DDGs)a nutritious animal feed high in protein, fats and oils and preferred over standard corn for feed. What drives the increase in food prices is oil. Just compare a chart of the 2 and you'll see the perfect correlation. The highest input into the production of food is oil used for transportation, fertilizers, farm equipment, etc. Oil drives our whole economy. That is the problem and why we need to get off oil sooner, rather than later. The greenhouse gas benefit is actually up to 60% better than gasoline at most of today's ethanol plants that run on natural gas. Perhaps you are looking at decades-old data provided by the oil industry. They love to parade that old data around. Re: "Cellulosic ethanol has struggled for years to economically produce usable fuel, disappointing projections about cost and scalability." The cellulosic ethanol industry has had the technology ready since 2010 to do this economically at commercial scale. The problem was the slow recovery from the worldwide recession that hit, shrinking up investor funding, a key requirement for building plants of this size. Perhaps a comparision of this industry vs. many others during this time period may reveal similar delays in construction and business launches. Thanks a lot for Mr Penny's comments. Could you give some pointers on efficient enzymes that are best suited for converting the cellulose? While ethanol derived from corn does not directly take food away from consumers, the economic impact of higher feed costs for cattle and other feed for consumer meat products is felt by consumers in higher food costs. 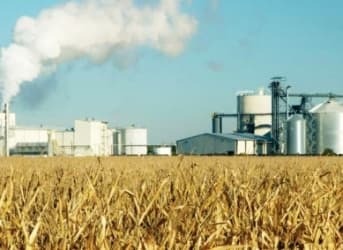 Ultimately cellulosic ethanol addresses the concern by taking a waste by-product of farming and converting it into a revenue stream for farmers and a useful substitute for gasoline fuel for consumers. The real challenge it seems is in producing it on an economical scale. 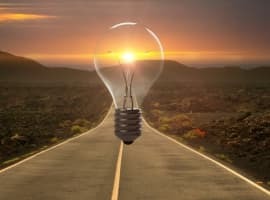 I have read in magazines such as Popular Science and Popular Mechanics of all kinds of wonderful inventions that are feasible but the marketplace ultimately decides what becomes successful. If ethanol ( or any other competing technology ) cannot be brought to market at a competitive price point for consumers, it simply wont be adopted and oil based fuel will remain our fuel of choice.